Europeans first began their exploration into the African continent around the 1500s. At this time, the African population of one of Earth’s most iconic animals, the elephant, was estimated to be nearly 26 million. Elephant by Pauline Guilmot. Source: Flickr. 26 million of these beautiful creatures once roamed the African continent. This number reached as few as 600,000 in 1989, due to their two major threats of habitat loss and poaching. In the wild, African elephants have a home range up to 11,000 km2 in size. However, as the land has been developed, more and more space has been taken up by agricultural development. This has pushed the elephants closer to human communities, resulting in damaged crops and property. This raises tension between communities and the animals, often resulting in retaliation that can lead to injury or death of elephants. Due to the large range that elephants tend to live in, it is hard to contain them to national parks and wildlife sanctuaries. Even in places where such land is available for elephants, it often spans across multiple countries, which can make administration of these areas quite difficult. Tusk by by Ruth. Source: Flickr. 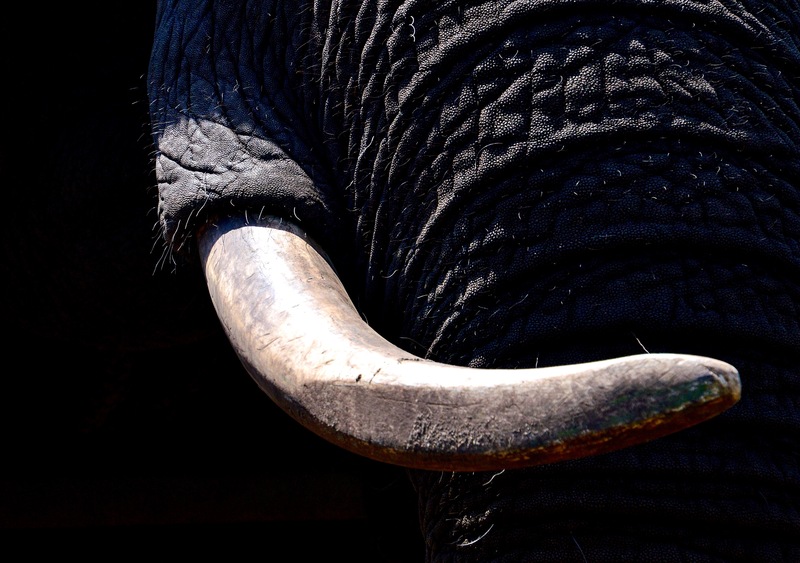 The single most threatening factor for elephants is the demand for ivory. 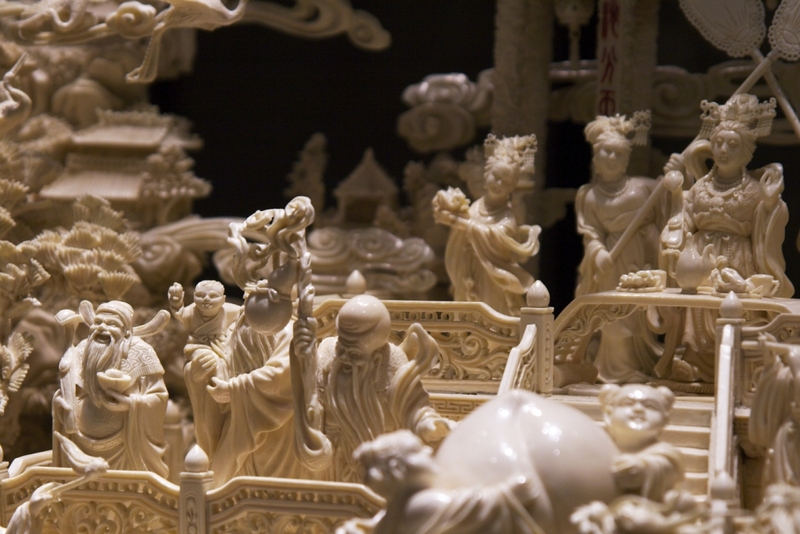 In the 1600s, the world began to see large demand for ivory goods. Ivory is a hard white material made from the tusks of animals, predominantly elephants. Ivory was primarily used for carving works of art going back all the way to the 14th century BC, back when the Egyptian Pharaoh Tutankhamun was still alive! In later years, it was adapted to the carving of piano keys, billiard balls, and other luxury goods. Early demand, from the 1600s to the early 1900s, primarily came from Europe, India, and Far East countries, such as China and Thailand. However, in recent decades the demand has mainly stemmed from Japan, China, Europe and North America. 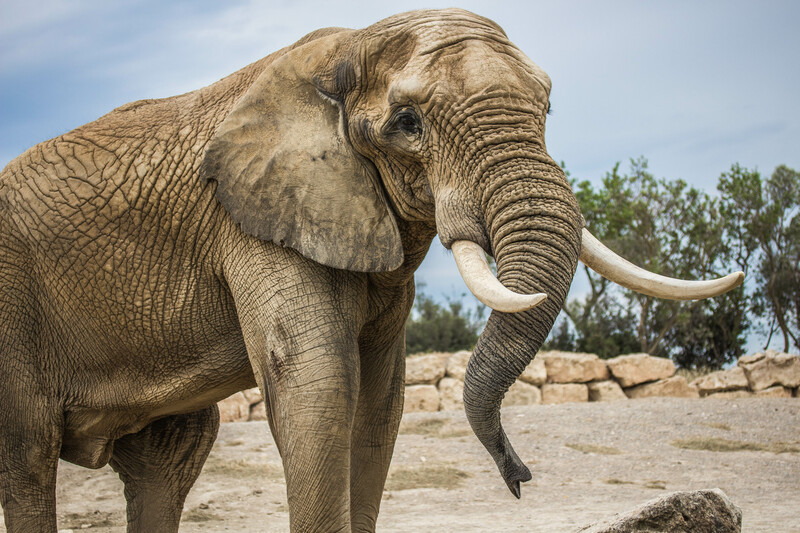 With high demand came increased poaching, the African elephant population was dwindling to 1.3 million in 1981 and it was estimated that this number would drop to as low as 100,000 if nothing was done. 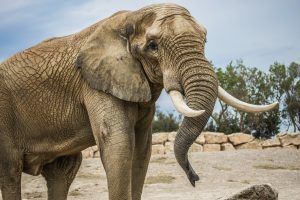 Over the next decade the Convention on International Trade in Endangered Species of wild Fauna and Flora, aka CITES, put in motion the ground work for an international ban on the trade of ivory. In 1989, CITES held a crucial meeting in Switzerland that marked the beginning of the ban of all international commercial trade of ivory. Around the same time, the elephant population reached its historical low of just 600,000 individuals before stabilising. Unfortunately, the ban did not stop the practise of illegal poaching and trafficking of ivory. Back in 2011, officials seized over 25 tons of illegal ivory, the equivalent of nearly 1,000 elephants poached, making it one of the worst years of poaching since the 1989 ban. Ivory by Matthias Rosenkranz. Source: Flickr. 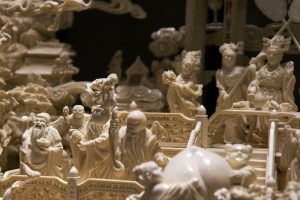 Even with the 1989 international ban in place, many countries, including the US, China, Japan and the UK, still allowed the trade of ivory antiques domestically. These domestic sales provide outlets for the illegally poached and trafficked ivory. Fortunately, 2017 have given us much welcomed news. China, which makes up approximately 70% of the all domestically traded ivory worldwide, recently banned domestic trade. Japan also tightened its regulation on domestic trade and this week the UK announced that they plan to ban domestic ivory trade, hopefully within the year. The price of ivory has already seen a drastic reduction since the China ban. Hopefully, the lack of financial incentive will be a huge hit the poachers in Africa, securing the future of our elephant friends. Previous Previous post: Online gaming is not such a waste of time after all. I knew the ivory problem was huge but I didn’t realise by how much. I am glad China started banning ivory trade. Did they say why they are banning ivory trade? Would be interesting to hear their reasoning.